• Network addressable area controller. • 4 x RS485 Network ports. • Each network port supports 127 Daylux devices (508 per DAC). • Scalable to 65,000 Daylux devices. • Enables central manual or automatic control of building. • Allows connection of multiple floors (trunk and spur topology). • 5 x Dry contact programmable inputs. • Calendar based timed events and scheduling. A SET-DAC is used when central control over multiple floors is required or if a single system exceeds 127 LCM’s. This allows the system to be ultimately scalable up to 65,000 devices. 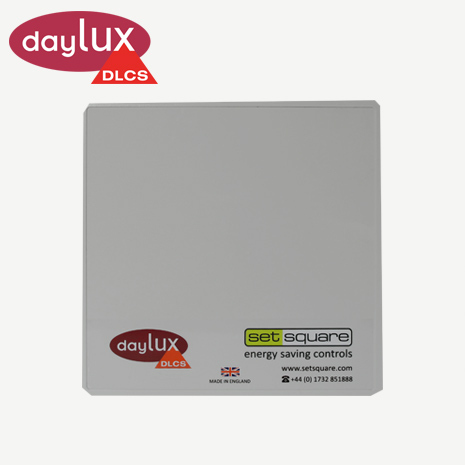 The SET-DAC has a built in calendar based time clock and five programmable contacts allowing manual or automated central control of features in the Daylux system. For example a single manual key switch could initiate an emergency battery test throughout the building or, on detection of a fire a contact from the fire alarm could switch the entire buildings lighting to 100% brightness and lock out any manual control, aiding access from the building.